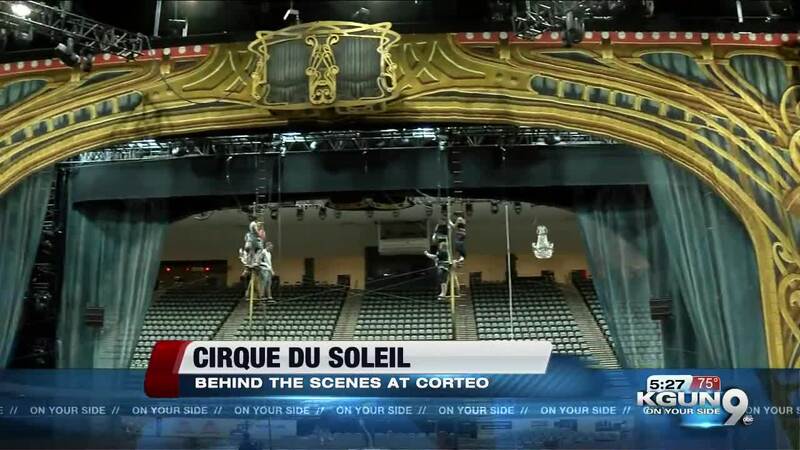 TUCSON, Ariz. — The latest Cirque de Soleil's arena production is in Tucson. The show is called Corteo. It tells a story of a clown, who watches his own funeral taking place in a carnival-like atmosphere. Organizers say this show is different because the stage is in the middle of the audience. The show runs April 3 through April 12 at the Tucson Convention Center. There will be seven shows.